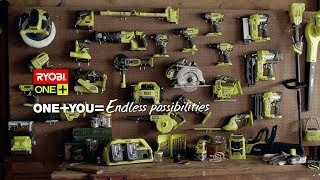 Experience a new level of both power and ease with the RYOBI ONE+ 18V brushless chainsaw 4.0Ah kit. The RYOBI ONE+ chainsaw’s brushless motor minimises internal friction and wear to maximise both battery life and power. With the 18V battery plugged in, you’ll have the chain moving at 9 metres per second to power through stubborn tree trunks. The 10-inch bar length gives you increased control of the job at hand. The ONE+ brushless chainsaw comes with a range of extra benefits to help save you time and effort. The chain’s tension can be controlled without the need for extra tools or keys so you can quickly adjust for whatever job you’re facing. You can also work without the constant smoke, fumes and difficult pull-starts of a classic petrol engine. This kit delivers the power you need with all the convenience you could want. Grab your RYOBI ONE+ 18V brushless chainsaw 4.0Ah kit from your local Bunnings Warehouse today.